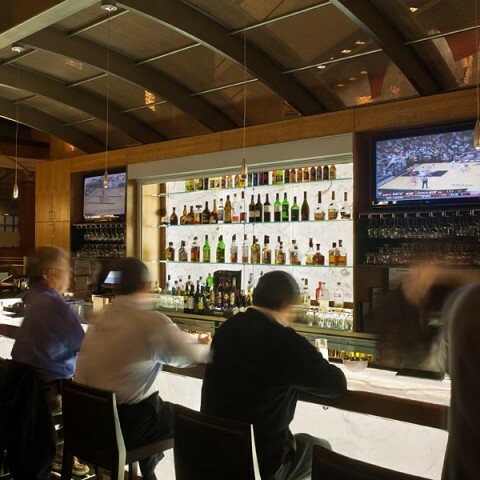 One key ingredient to a successful restaurant is a captivating atmosphere, and the striking backlit acrylic walls at the back bar in Bob’s Steakhouse provide an acute visual counterpoint balancing the mood of the space. 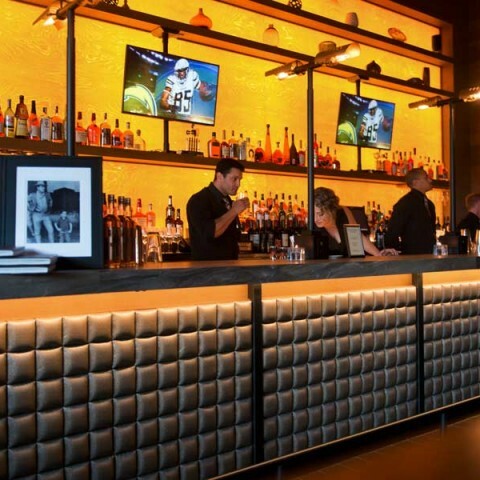 Juxtaposed within the neutral décor of the main dining areas, the sleekness of the inset backlit acrylic panels creates an interesting aesthetic break – an oasis of cool, clean illumination – intentionally drawing patrons and their focus of vision into the bar area. Evenly illuminated by Infuse™ Flat-Lite™ LED panels, the backlit acrylic is free from hot spots, cold spots, and structural shadowing, highlighting the bottles as miniature pieces of art.